Happy Halloween! I’m getting over a wicked cold, just started a new job, there’s been a big drop in the weather and my daughter has decided that she doesn’t need to take naps anymore! There’s nothing I want more than COMFORT FOOD!! 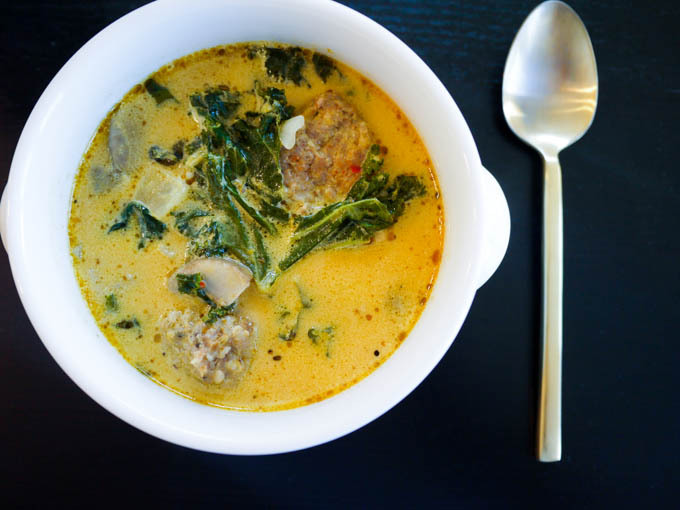 This Kale Pumpkin Sausage Soup is really easy, really hearty and takes almost no time. 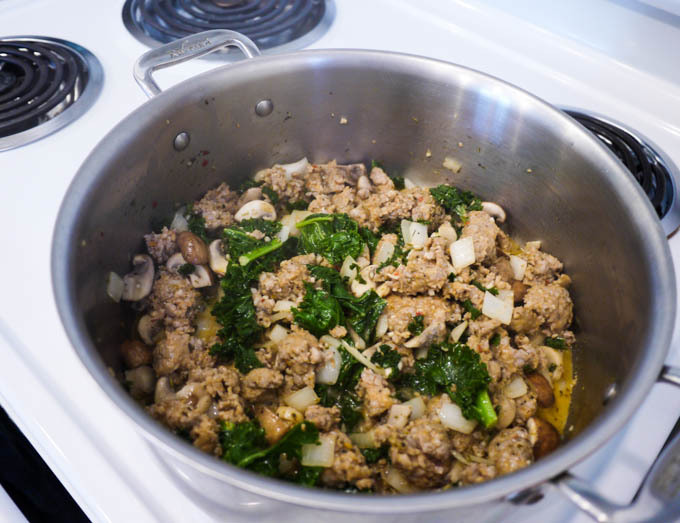 If you don’t like spicy food, swap out the hot Italian sausage for mild/sweet Italian sausage. Whichever you decide to use, RUN to make this soup! 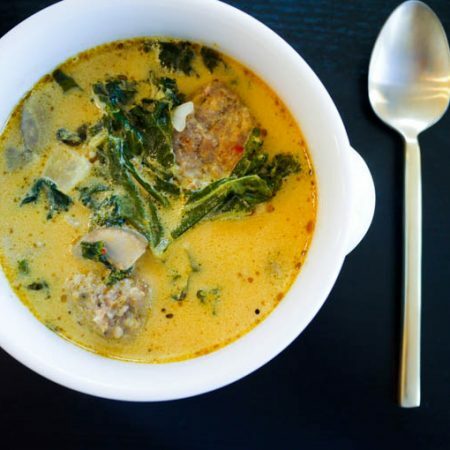 It’s so comfortingly creamy while not being too thick, the kale gives it a nice bite and the sausage gives so much flavor to the broth. 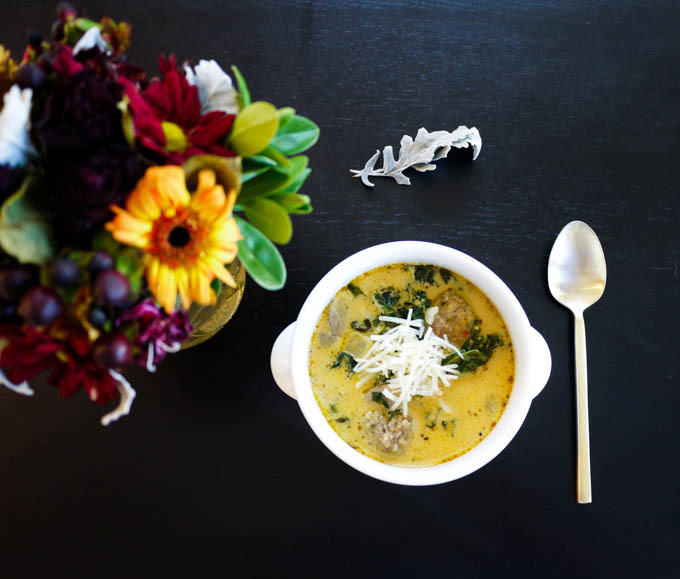 Creamy kale pumpkin sausage soup that is low carb and perfect comfort food for chilly weekday evenings. 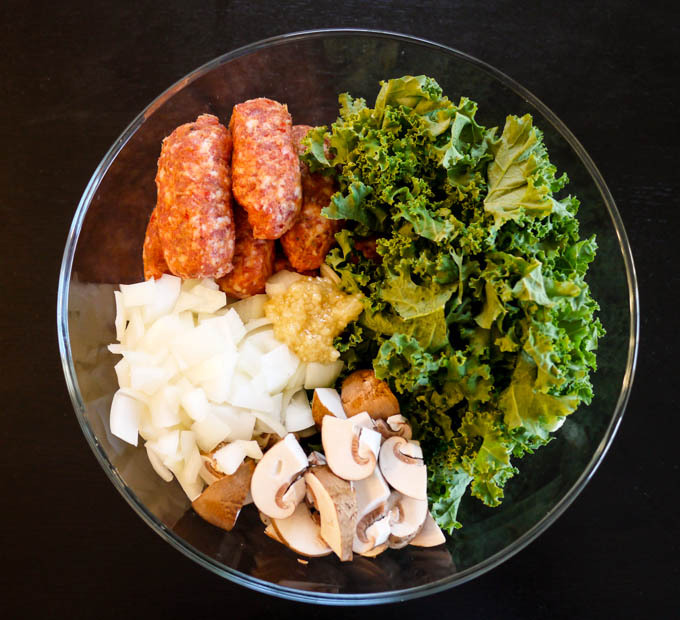 Remove sausage from casing and chop up onion, garlic, mushroom and kale. Add ingredients to a deep soup pot with butter and Italian Seasoning. Cook on medium high heat until sausage is browned, approximately 10 minutes, stirring frequently to break up the sausage. 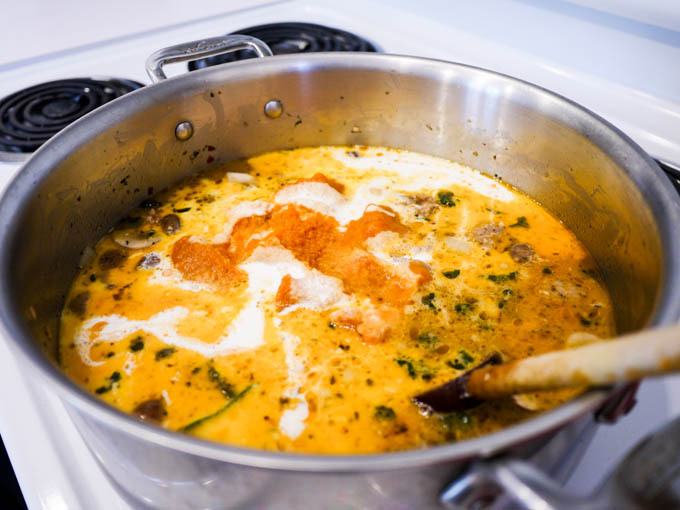 Add pumpkin puree, chicken broth and heavy whipping cream and cook for an additional 10 minutes for the flavors to meld. Add ingredients to a deep soup pot with Italian Seasoning and butter. I like to serve this with a little shredded parmesan cheese on top.